A recent car accident in North Naples landed a 27-year-old driver in jail on a $500,000 bail after allegedly hitting and killing a roadside sign holder and then fleeing the scene, according to Marco News. In addition to the charge of failing to remain at the scene of a fatal crash, the man has also received a charge of DUI causing death. He denies the charges. The accident happened at Shirley Street and Pine Ridge Road. The sign holder was employed through a nearby restaurant. The driver in the accident is employed with a local flooring company. The sign holder was a resident of Naples for 14 years. Florida Highway Patrol officers were able to stop and apprehend the driver later on after a witness of the accident followed the man’s vehicle and notified officers. The hit-and-run driver was in a Porsche Cayenne. When officers were questioning the man, he told them that he had hit a stop sign and not a person. Our Charlotte County car accident attorneys understand the incident has the Cape looking to consider placing a ban on all roadway sign holders. These individuals are being accused of being distractions to drivers and increasing the risks of accidents in areas flooded with these advertisers. Sign-shaking has become a popular form of advertisement in the Southwest Florida area. If there are businesses around, you’re sure to find someone shaking a sign. They may soon disappear from the City of Cape Coral though as officials are worried about roadway safety. Brian Clemens, a Cape Coral resident, is thankful for his sign-shaking job. He lost his job and picked this one up to help put food on the table. He works for about four hours a day for about 5 days a week, shaking his sign on the corner of Del Prado Boulevard and Hancock Bridge Parkway. He spends his time trying to turn drivers into customers, according to NBC2. “Try and get their attention,” Clemens said. That phrase is what scares officials. Drivers are taking their attention off of the roadway and focusing on these signs. 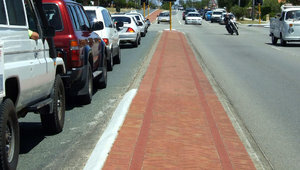 There are sign shakers on nearly every major roadway in the Cape. Danny Castellanos is another Cape resident who lists his job title as a sign shaker. He tries to lure customers into the “We Buy Gold” store. He spends eight hours a day, six days a week, fighting for the attention of drivers. If the Community Redevelopment Agency gets its way, these shakers could soon be out of a job. “You hate to take a job from anybody but you don’t want to put them in harm’s way,” said John Jacobsen, CRA Executive Director. The Cash for Gold store could have to potentially get rid of 25 employees if the ban goes into effect. Many of the companies say that they wouldn’t be able to survive without this form of advertising as it’s the most some can afford nowadays. The only problem with this ban is that sign carrying is a First Amendment right, so there may only be so much that the city can do to stop the distracting ads. Associates and Bruce L. Scheiner, Attorneys for the Injured, are dedicated lawyers helping accident victims throughout South Florida, including Naples, Fort Myers, Port Charlotte, Sebring and Cape Coral. Call today for a free and confidential consultation to discuss your case. 1-800-283-2900.